A yellow-haired labrador encounters a boy with Downs-Syndrome for the first time. How he reacts left me speechless.. 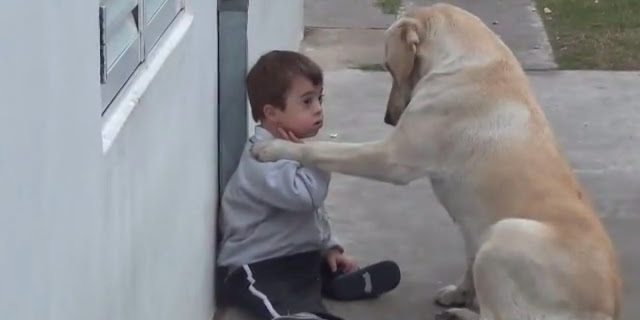 This is one of the most amazing and moving videos that I have ever seen.A wonderful yellow labrador befriended a little boy who has Downs Syndrome. The dog recognised something in the boy that most people don't see. He lovingly, even tenderly, approached the young boy. This video is a beautiful example of the loving nature of many animals.